As Baby Boomers age and make up a more significant portion of the population, more Americans rely on health insurance providers and prescription drugs. In fact, Center for Disease Control stats show that more Americans are taking prescription drugs than ever. More patients and more drugs means a greater need for upper level health insurance and pharmaceutical professionals, and more new MBA jobs in these fields. As with any complex industry, healthcare providers and pharmaceutical manufacturers require new hires with analytical abilities, business acumen and problem solving skills to help innovate and lead these firms into the future. Here are just a few new MBA jobs for those looking to enter healthcare provider and pharmaceutical fields. Kaiser Permanente is an integrated managed care company based in Oakland, CA. The provider operates in eight states (Hawaii, Washington, Oregon, California, Colorado, Maryland, Virginia, Georgia) and Washington DC. Kaiser Permanente is hiring a new Business Consulting Manager at its Oakland headquarters. The new hire will supervise a group of consultants and analysts focused on management consulting, and budget management. The Manager will support senior leadership by addressing strategic issues and structuring any necessary problem solving measures. A minimum of six years of relevant experience is required, and an MBA is strongly preferred. See more jobs like this at Kaiser Permanente careers page. Aetna is a managed health care company that sells health care insurance plans and related services, such as medical, pharmaceutical, dental, behavioral health, long-term care, and disability plans. In 2018, the company became been a subsidiary of CVS Health. 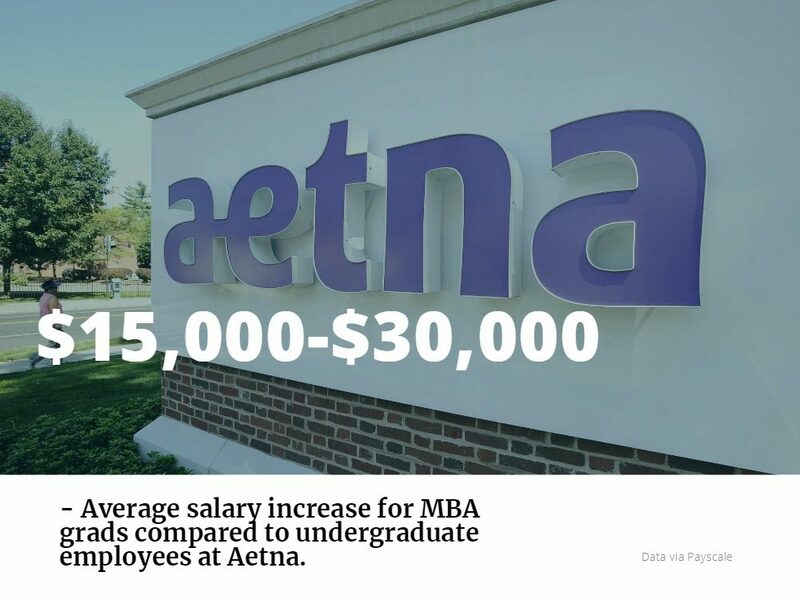 Aetna is hiring a new Senior Analytics Consultant at its Wellesley, MA office. The new hire will apply their consulting, analytic, and leadership expertise across a variety of strategic problems at the insurance provider. A minimum of three years total business experience, as well as two or more years experience in strategy consulting or corporate strategy roles is required. The role requires an MBA or Masters/Ph.D. See this job, and many more, at the Aetna careers page. McKesson distributes health care systems, medical supplies and pharmaceuticals. The firm has a history of being on the cutting edge, pioneering technologies like bar-code scanning for distribution, pharmacy robotics, and RFID tags. In 2017, McKesson was the fifth highest revenue generating company in the United States. Visit the McKesson careers page to see more job openings. One of the largest pharmaceutical companies in the world, Merck is ranked 78th in the Fortune 500 list of the largest United States corporations by total revenue. The American arm of the company is based out of Kenilworth, New Jersey. Merck is hiring a new Program Director at its West Point, PA offices to lead the Research Life Sciences Cloud Solutions (RLSC) Delivery team. The new Director will lead architecture planning and delivery of IT solutions for next generation data aggregation platforms and workflow solutions for research scientists. The position is MBA preferred. See more jobs like this at Merck’s careers page. Pfizer is one of the world’s largest pharmaceutical manufacturers, ranking 57th on the Fortune 500. Its product roster includes Lipitor, Lyrica, Zithromax, Viagra, and Celebrex. The company is hiring a new Clinical Trial Metrics Analyst at its Cambridge, MA office. The new hire will help drive decision-making through analysis, interpretation and presentation of data, as well as make improvements to operational execution. The job requires an MBA or MS/BS in a relevant field, as well as a minimum of ten years working in Pharmaceutical industry in an analyst capacity. Pfizer posts this job, and many others, on its careers page.